"Why should we spend five rupees in buying a newspaper, when it publishes fake news. What's the need of reading that liar newspaper," said the minister while addressing a party program. BHOPAL: On Saturday it was Haryana chief minister Manohar Lal Khattar, who told a journalist in Sirsa "media can ask questions, but media cannot make allegations. you should learn etiquette." But two days back, a member of Shivraj Singh Chouhan-led council of ministers Balkrishna Patidar, also made objectionable comments against media and journalists in Khargone district of Madhya Pradesh. "Why should we spend five rupees in buying a newspaper, when it publishes fake news. What's the need of reading that liar newspaper," said the minister of state for agriculture Patidar, while addressing a party program in native Khargone district on Thursday. "These newspapers frighten small political leaders that if you don't fulfill our demands, we'll publish against you. Their demands are never going to end. Let me tell it very clearly that that I'm not among such leaders. I don't need print or electronic media, as I've my own mouth media," said Patidar. He went on to add, "what is the need of having newspaper. Tell me whatever you see with your own eyes is correct or whatever the newspaper tells you, that is correct." 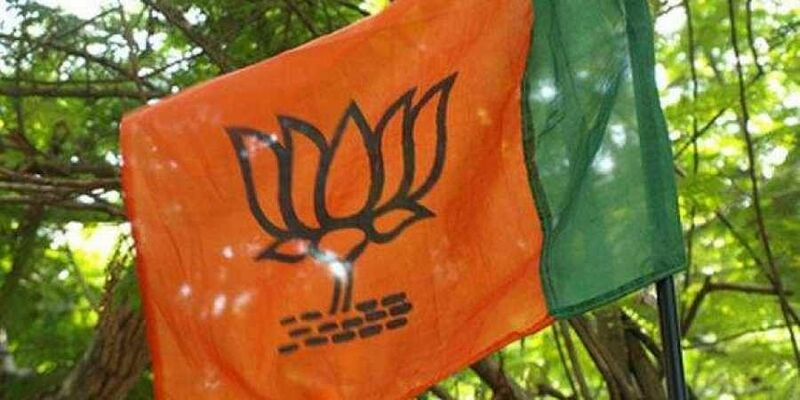 While state BJP chief spokesperson Deepak Vijayvargiya evaded a direct response to the episode saying the party is yet to see the concerned video, the Leader of Opposition in the State Assembly Ajay Singh demanded that the minister be immediately dropped from the state's council of ministers for making the objectionable statements against media. In the past too Patidar, the BJP MLA from Khargone has been in news for making statements like suicide is not only a problem with farmers in MP, but is a global problem, which is caused due to variegated reasons.The minister who hails from the Patidar community and was included into the Shivraj Singh Chouhan government a few months back apparently to placate his community, repeated his remarks on rising suicides cases recently. "Suicides are not only due to one reason, but are caused by different personal reasons. We can only assume about causes after someone's suicidal act. If only rising burden of loans and debts was to be blamed for all suicides, why did the spiritual leader Bhaiyyu Maharaj end life in Indore and 11 members of an affluent family commit suicide in Delhi's Buradi area recently," questioned Patidar.